The problem may not be for the reasons you think. Relationship conflict often has more to do with “how” you communicate with one another than with “what” (subject matter). Understanding each other’s point-of-view must come before deciding to agree, disagree or on a course-of-action. When you and other people transmit and receive communications on different wavelengths, misunderstanding and confusion may occur with any subject. Doesn’t it make sense to understand how you and the important people in your life prefer to receive and process information? This understanding creates greater harmony in relationships even when you have different points-of-view. Each brain has a primary sensory preference to receive information. Which of these are your strongest and weakest? What are the sensory preferences of the person with whom you are experiencing problems? Are their strengths the same or different than yours? Each individual’s brain has a preference for how sensory information is presented. Which category can you relate to the most and least? Now do the same thing for the other person. Are their cognitive thinking strengths the same or different than yours? There are thousands of different sensory and cognitive thinking communication combinations. You can see why communication success varies. Few people have the knowledge and tools to communicate effectively based on brain wiring. Just look around you and observe how much time people spend in meetings arguing and driving home their points-of-view. As a starting point, share this article with the other person and compare your sensory and cognitive thinking preferences. It doesn’t matter if you are the same or different. What matters most is respecting each other’s strengths and communicating on each other’s “wavelength.” This is the quick start solution to mend and grow your relationship. You’ll see amazing results. The simple and powerful solution to this age old communication problem is discovering how you and people important to you prefer to receive and process information. Communicating on each others wavelength creates amazing results. Are you experiencing strained and difficult communications with a family member, co-worker or friend? Feeling misunderstood and unappreciated are tell-tale signs of a deteriorating relationship. Your difficulties may be due to big gaps in the ways you both communicate. 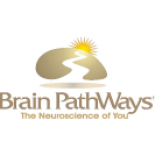 Your Brain PathWays report gives you what you need to know and do to get on other peoples “wavelength.” You can repair, rebuild and improve important relationships now with powerful practical neuroscience communication tools for exceptional rapport. Click to purchase your Brain PathWays online self-assessment and download your report today. This entry was posted on November 10, 2010 by brainpathways in Family, Personal, Uncategorized and tagged brain, communication, family, Interpersonal relationship, life, neuroscience, personal, relationship, relationships, romance.